Bored with those same old, dull alarm tones? 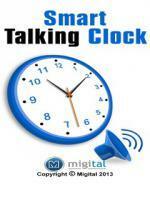 We bring you an app that will wake you up, with a human voice!! And not just that you can select from many other melodic, rhythmic alarm tones, which will do anything but irritate you!